Harry W. Chadwick (1860-1933) was a U. S. Signal Corps photographer who documented the aftermath of the earthquake. The photographer was born in Louisville, Kentucky. Chadwick served as a photographer for the military for 28 years—retiring as a Master Signal Electrician. Chadwick photographed During the Spanish-American war in 1898, he photographed the taking of Manilla. 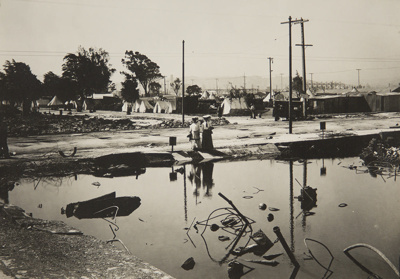 Harry Chadwick’s last post was in the Presidio of San Francisco, where the photographer captured the devastation of the 1906, San Francisco earthquake. 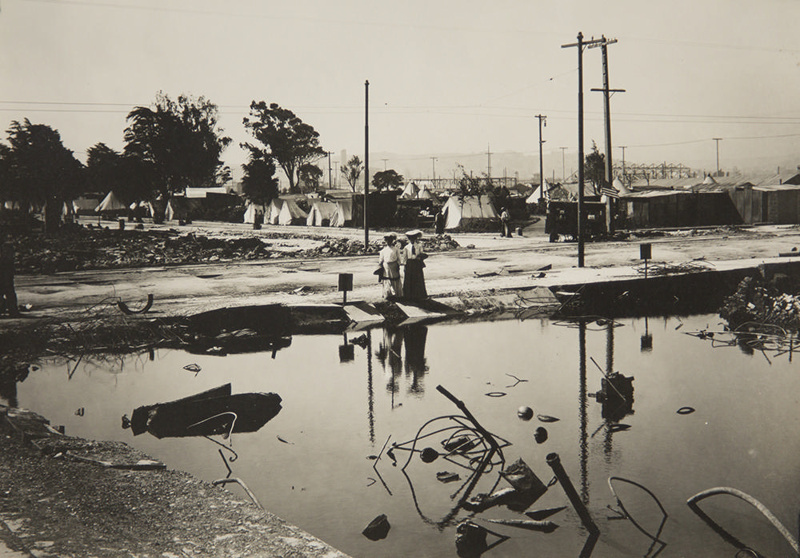 The Visual Studies Workshop (Rochester, NY) had a touring exhibition in 1980, which used 66 silver prints—providing a “grand tour” of the natural disaster. Depicted in the 1906 image are two women standing next the remaining cellar of a building, that was filling with water (because of a broken waterpipe) in the aftermath of the San Francisco Earthquake.